The term rostral refers to the relative location of structures in the head. 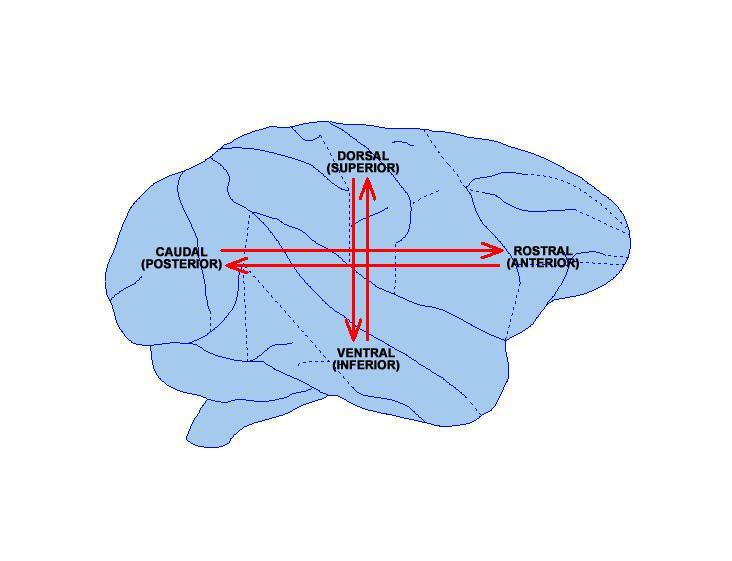 Rostral structures in the brain lie toward the front; ‘anterior’ is a synonym (NeuroNames). See also dorsal, ventral, caudal, lateral and medial.